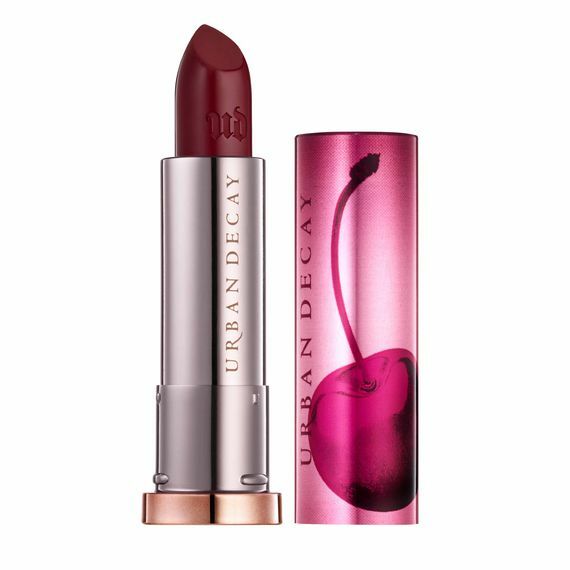 Enter the sweet and succulent yet devilishly addictive world of Urban Decay Naked Cherry, a collection of berry-inspired colours with a bite. This delectable range of rich and velvety eyeshadows, nourishing lipsticks and pigmented face colours in soft pinks, deep crimsons and black cherry shades will be sure to tempt. This is the Naked look you have been waiting for; these universally flattering shades will make creating a beautiful makeup look with an edge - as easy as pie! 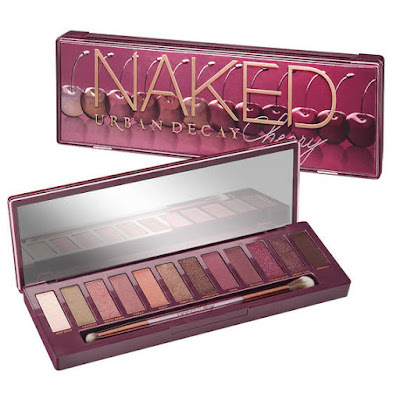 Beauty with a bite, the Urban Decay Naked Cherry Eyeshadow Palette is a fresh and juicy collection of shades to create sweet everyday looks or something wicked after dark. The Naked Cherry Palette contains 12 succulent cherry-inspired eyeshadows ranging from soft pinks to deep crimsons and rich burgundies in both matte and shimmer textures. Fresh, flattering and completely of-the-moment, this is a vampy take on the Naked vibe that will leave you begging for more! Cherry-pick your way through these highly pigmented, opulent colours and pull together versatile creations that will level up your look. Each shade contains the famous Urban Decay Pigment Infusion System, which ensures that every colour is buttery soft and totally blendible. Naked Cherry also looks excellent on all skin tones, and won’t flake or fade. Caution: Soft neutral beige matte. Bang Bang: Shimmering pink with gold shift and iridescent micro-sparkle. Feelz: Soft dusty rose matte. Turn On: Pale metallic rose shimmer. Drunk Dial: Deep metallic burgundy. Take a bite with the limited edition Urban Decay Vice Naked Cherry Lipstick, a delectable collection of cherry-inspired shades that will make you look good enough to eat! The luxurious, cult-favourite Vice lipstick has a highly pigmented formula that applies smoothly and feels gorgeous on the lips. Thanks to its super creamy texture and nourishing ingredients such as aloe vera, jojoba, avocado and babassu oils, it remains comfortable throughout wear. Juicy: Light peach-pink with copper micro shimmer with a metallized finish. Devilish: A berry pink with tonal micro shimmer with a metallized finish. Cherry: A deep berry wine with a cream finish. 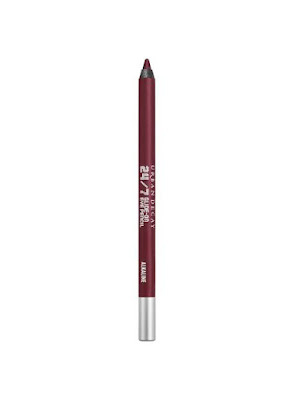 Add a seductive edge to your sweet cherry look with the limited edition Urban Decay Naked Cherry 24/7 Glide-On Eye Pencil, two long-wearing eyeliners in smouldering hues. This iconic and award winning eye pencil formulation from Urban Decay has been updated with two new shades that are designed to go perfectly with the Naked Cherry Palette. Its cushiony and creamy waterproof formulation contains 50% moisturising ingredients, making it so easy to apply, blend and get creative. Black Market : A cool black shade with a satin finish and is just perfect for creating definition and drama to your eyes, keep it graphic with a simple line or blend out to create a smoky eye. 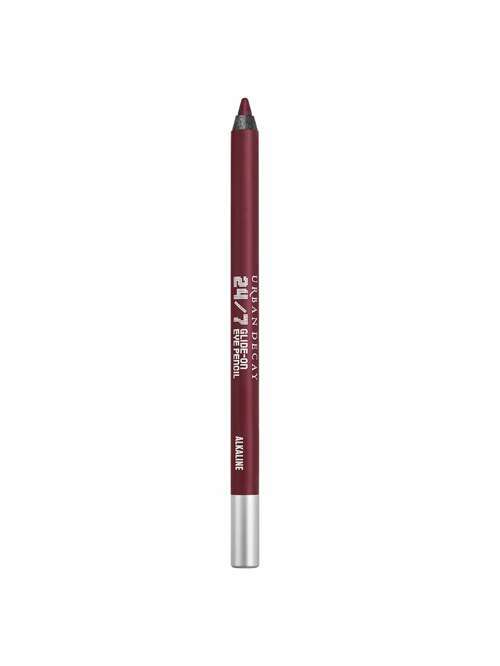 Love Drug: This shade will have you falling in love with its warm plum pearl finish, it looks fantastic smudged below the eye line with a little darker eyeshadow layered on top.